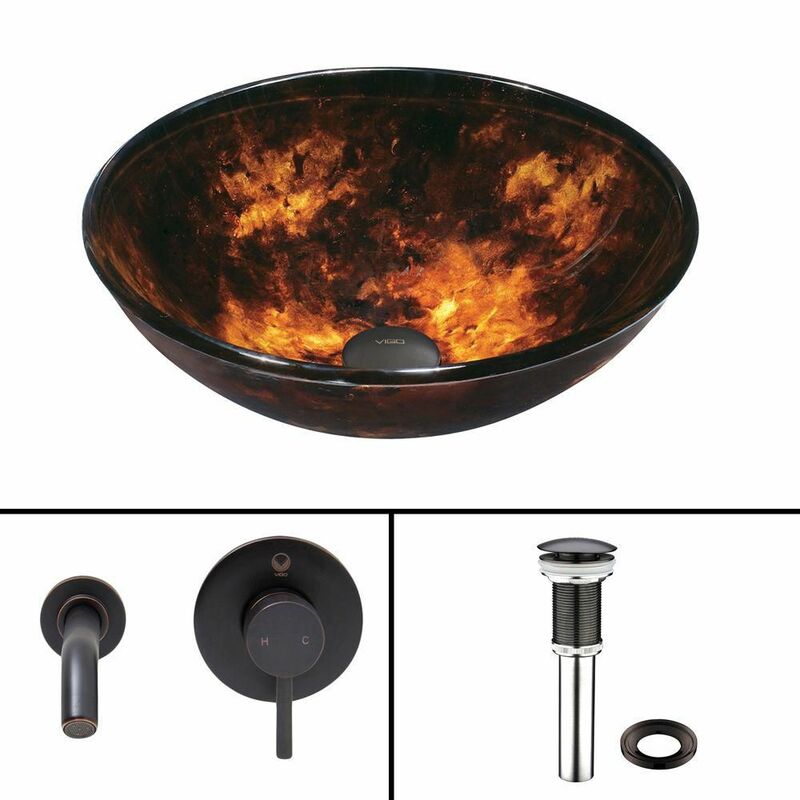 Glass Vessel Sink in Brown/Gold Fusion with Olus Wall-Mount Faucet in Antique Rubbed Bronze is rated 5.0 out of 5 by 1. Rated 5 out of 5 by Iona from Stunning! Beautiful colours, large heavy bowl awesome tap set...totally satisfied!